struggling to learn how to get that perfect crease every time? the answer is simple, tilt back. tilting your head back while applying your making helps stretch out the surface of your eyelid allowing you to apply the details of your eyeshadow more carefully. 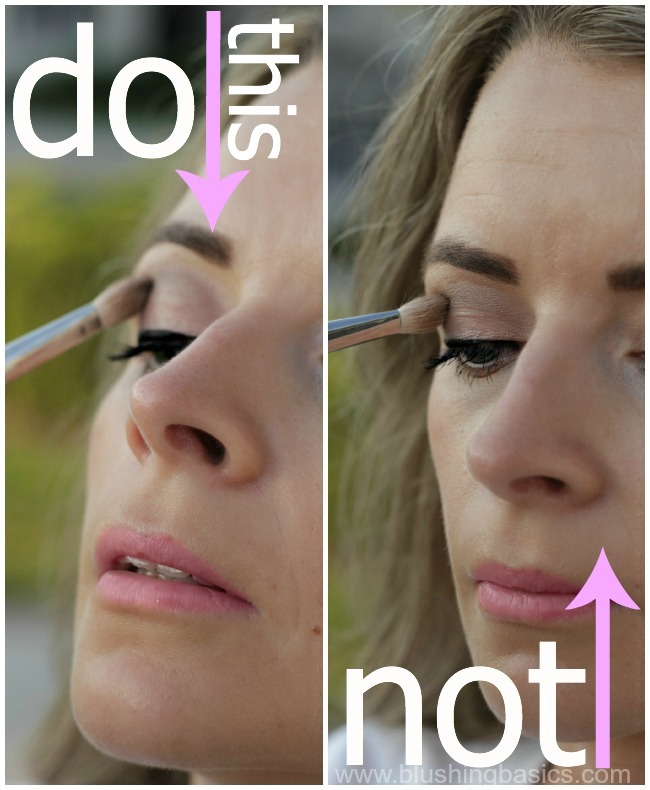 applying your shadow while your head is upright compresses the surface of your lid making accuracy more difficult. additionally, you tend to apply the color lower than it should be applied when your head is upright. when your head is tilted back you apply the color directly to the shadowed part of your brow bone which is the perfect location. WARNING: applying your crease color too low can actually make your eyes appear smaller. your lid surface will look wider and bigger when your crease color is applied correctly. getting the perfect crease every time has never been easier.